This last week I received several boxes of wonderful things in the mail. Instead of breaking them down and adding to the recycling, I decided to have some fun and create an easy word game for the tot. She’s right at the point where encouraging letter recognition would be a really good thing, and instead of heading to the store and paying big bucks on some plastic game, or one that she’d only play with for a week and then toss aside, I upcycled one of those cardboard boxes into a fun and interactive game that could be enjoyed — and then eventually recycled. 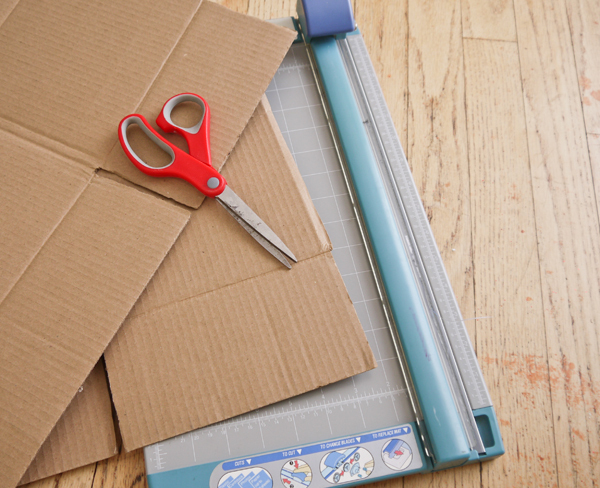 Simply cut away the sides from the cardboard box using a scissors or paper cutter. 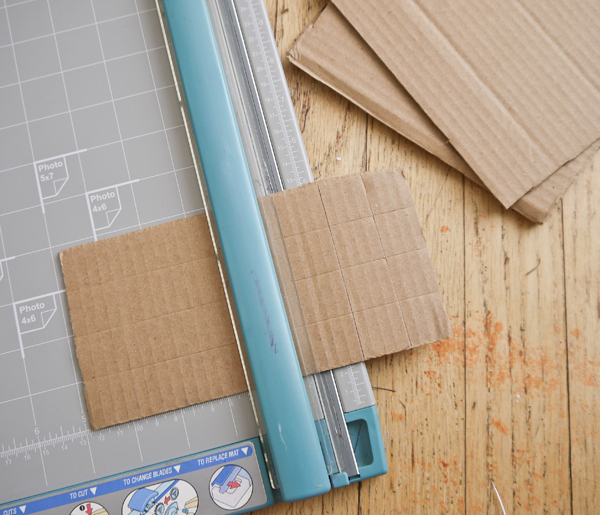 You probably won’t be able to cut completely through if using a cutter, but it does help create nice, straight scored lines, which can then be cut with the help of a scissors. I created four squares to use for creating matching letter and number games. Now use the trimmings to create the squares for the letters and numbers. I found around a one inch square was the perfect size. 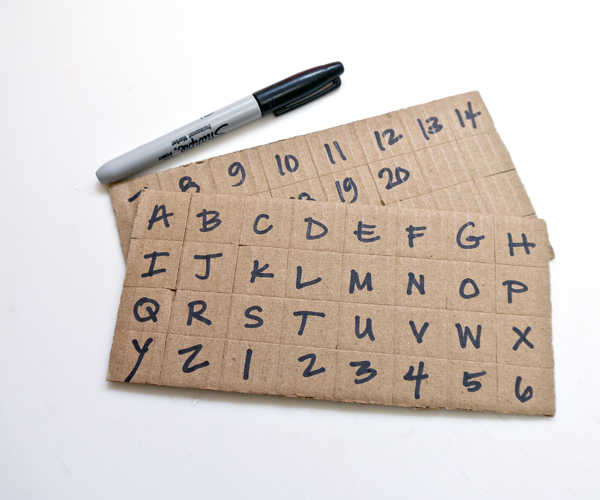 Use a black marker to write letters and numbers on the squares. You could do all capital letters, lower case letters for encouraging advanced learners, and numbers up to 100 — or even higher! I kept it simple and wrote out the alphabet in block letters along with numbers 1 to 20, reserving any blank squares for replacing lost numbers and letters later. 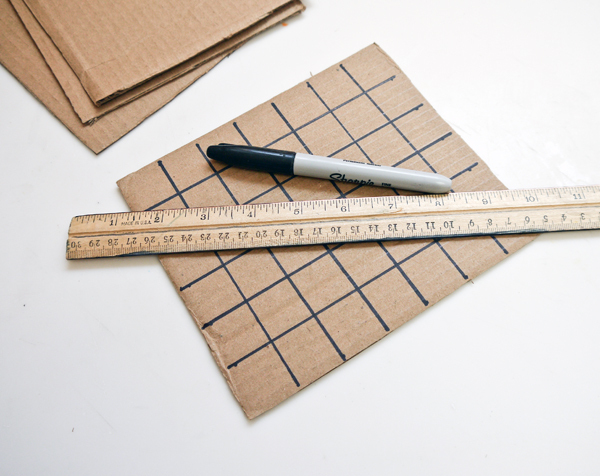 To create the game grids, use a ruler to mark each side of the cardboard squares and one inch intervals and then draw straight lines to create boxes. Now you can fill each box with a number or letter, create words, or even number combinations. Because my little one is just starting to figure things out, I kept things pretty simple. You can even have a theme for each square, such as one for only numbers, and others for letters, or short words. 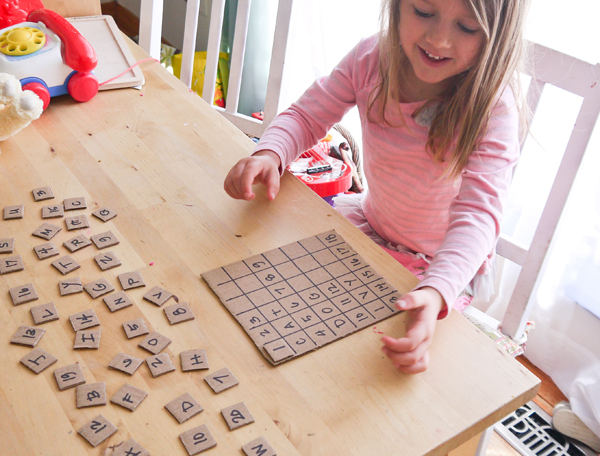 I helped my daughter spread the letters and numbers on her work table and offered her a square to fill in. I was amazed as she found the first match and stayed engaged while filling in the rest. We spent over an hour going over the numbers and letters and finding their matching spots on the game cards and exploring number and letter recognition. I was so excited my daughter loved her new game, but loved even more that it was made from a recycled cardboard box, which basically cost nothing to make. Looking for another fun way to repurpose your cardboard boxes? Make a cardboard box oven for hours of pretend play….